Guts Casino – May Marathon! Earn tickets to win up to €2,000 in cash! 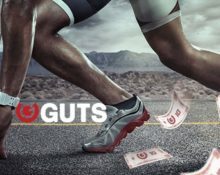 Get your skates on and head for the podium in the May Marathon at Guts Casino. 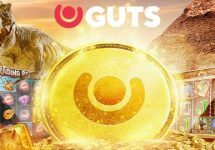 For the first half of this month, they are giving players the chance to earn unlimited tickets into a cash raffle with a €10,000 prize pool and first prize of €2,000. Simply wager on eight selected slots to earn your entries to the prize draw on 14th May 2018. It’s promising to be a marathon month at Guts Casino with plenty of action, excitement and extra rewards from prize draws and tournaments. Start off this week on the first part of the run with a share of €10,000 worth of cash prizes and Mega Spins by collecting tickets to the May Marathon prize draw. Then stay tuned for the details of next week’s campaign. Eligible games: WiXX, Casino Win Spin, Creepy Carnival, Space Arcade, Oktoberfest, Tesla Jolt, Kitchen Drama: BBQ Frenzy and Kitchen Drama: Sushi Mania. Earn one ticket to the prize draw for every €10 wagered on the eligible slots. Players can collect unlimited tickets to increase their chance of winning a prize. Bets with cash and bonus money qualify. 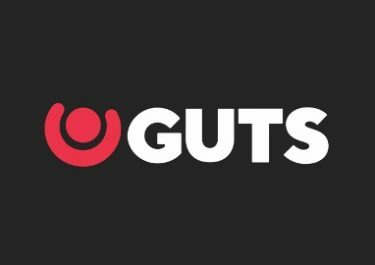 On 14th May 2018, Guts Casino will randomly draw 152 winning tickets from all eligible entries and allocate the prizes in order they are drawn: 1x €2,000 | 2x €1,000 | 4x €500 | 10x €100 | 30x – €50 | 45x €20 | 60x 10 Super Spins on Vikings Go Berzerk, worth €1.00 each. All prizes are credited with no wagering requirements by 18:00 CET on 14th May 2018. Terms and conditions apply.